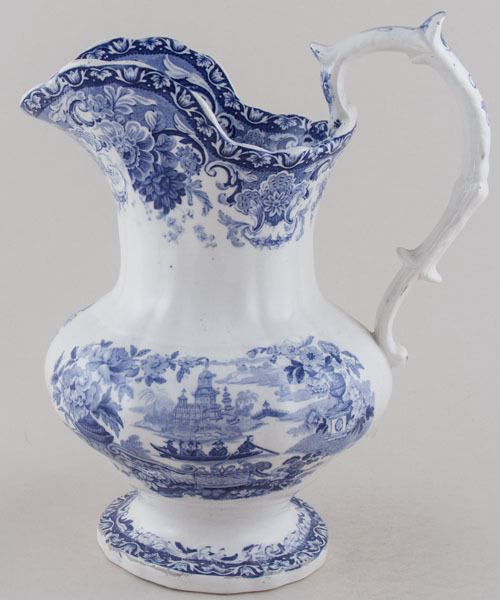 A fabulous shaped ewer with ornate handle. No backstamp. There is some wear with loss of pattern to the foot and base of handle with just a touch to the rim. Sounds much worse than it looks, this is a delight.